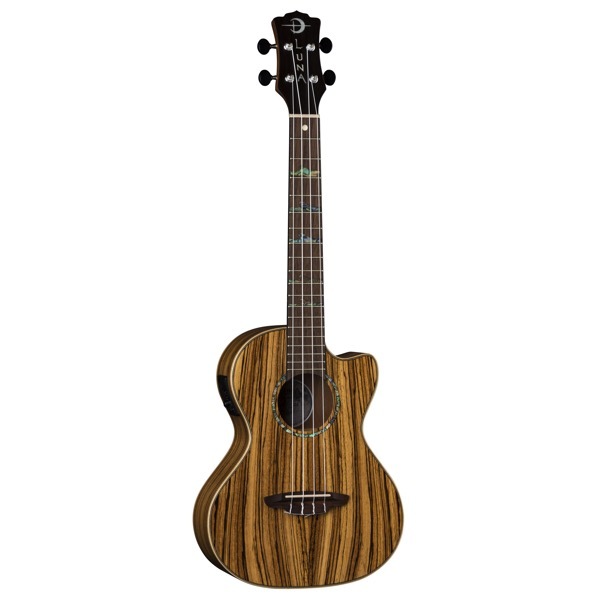 8 string ukuleles have "doubled" strings and are widely used to produce a driving rhythmic sound. 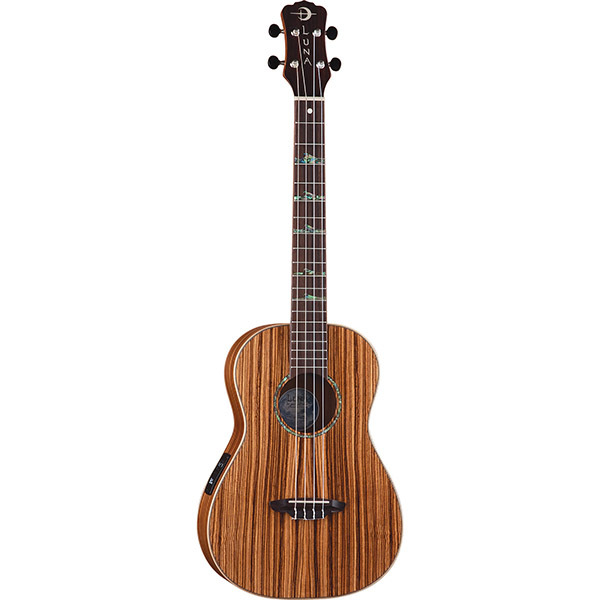 The characteristic chorus effect results from both octave and unison harmonies that occur from string to string. 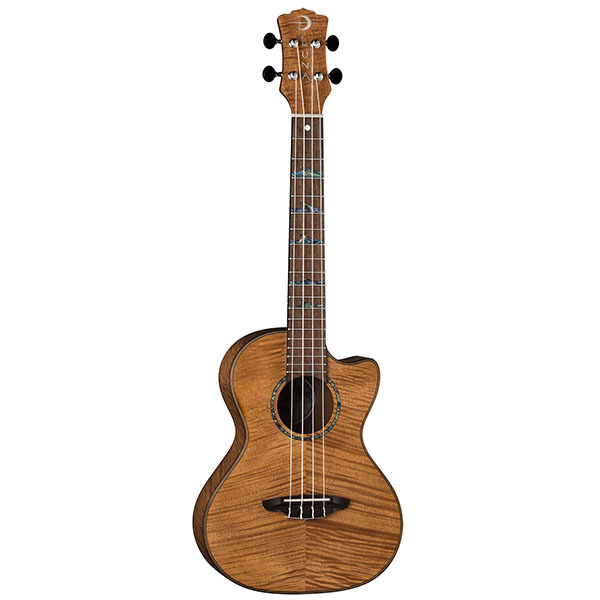 The "High Tide" Series is Luna's premier line of Ukuleles. 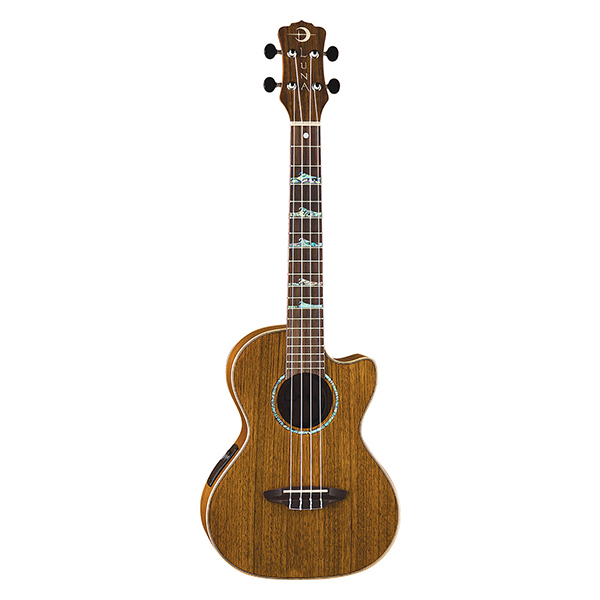 This beautiful series of Ukes takes it's inspiration from the full moon at the first fret which causes the abalone wave fret markers below it to "rise" as they make their way up the fretboard towards the moon's pull. 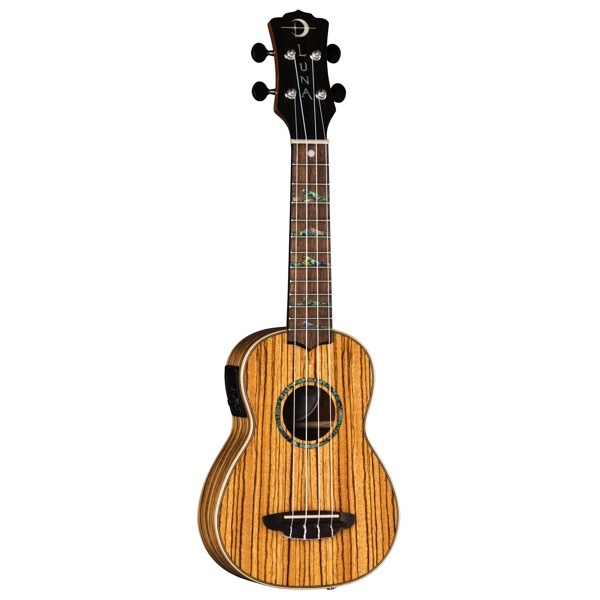 High-Tide ukes are crafted from exotic tropical hardwoods and soundhole framed by an abalone ring. 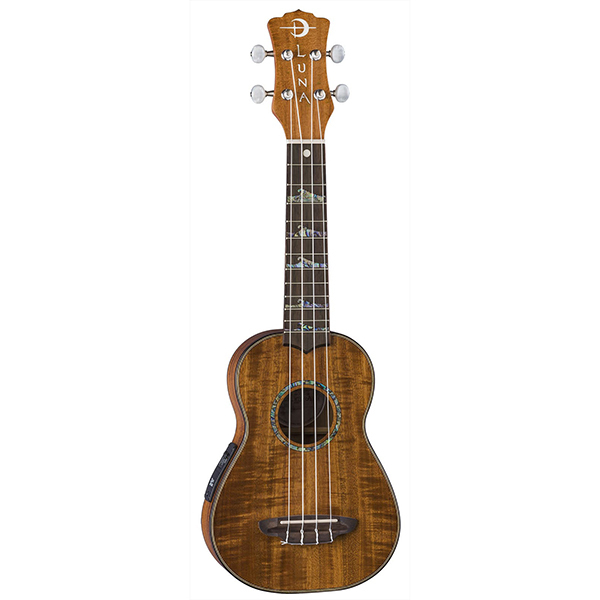 This beautiful Luna ukulele features a set neck and all Mahogany construction, resulting in full, deep sound along with the instrument's tenor body size. 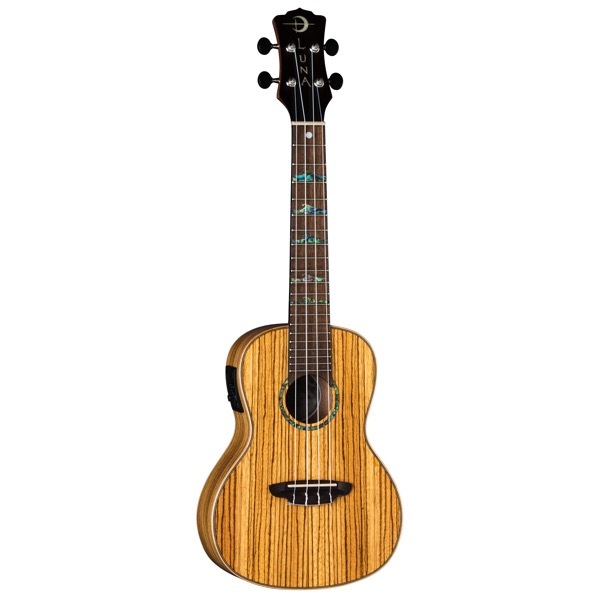 The cutaway offers comfort when accessing the upper-register frets, and the mahogany neck and walnut bridge and fretboard add lasting sustain and clarity to your tone. 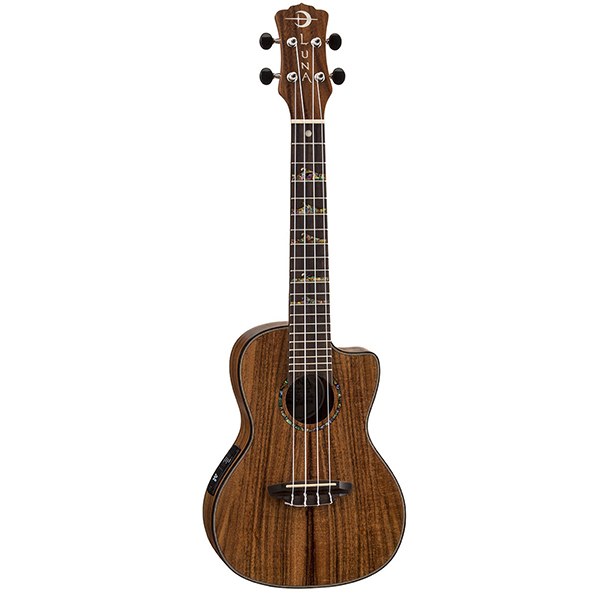 The open-style tuners keep the instrument in precise tuning while the onboard preamp provides easy amplification that can be dialed in quickly. 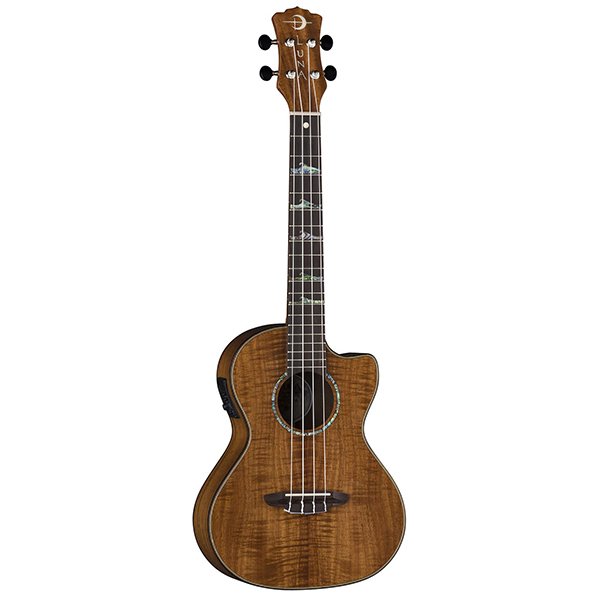 Dressed in a satin finish, this is a great addition for the accomplished player.